In a recent article by Luke Daniel, originally posted in The South African he mentions that it looks like it’s going to be a showdown between the Economic Freedom Fighters and the Democratic Alliance. Julius Malema is nipping at the heels of Mmusi Maimane when it comes to popularity amongst South African voters. This is according to a new report published by Citizen Surveys, which focuses on popularity ratings amongst the country’s top politicians. The survey cites results gathered from face-to-face interviews with a nationally representative sample of 1 300 adults. Interviews, which have been conducted in English, Zulu, Xhosa, Afrikaans, Sotho, Sepedi, and Setswana, reveal a shift in political popularity ahead of South Africa’s 2019 General Elections. 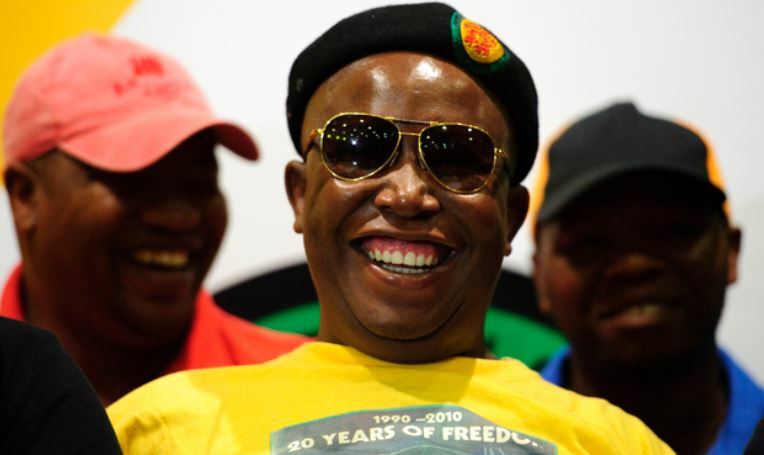 Julius Malema, the political rabble-rouser and Commander in Chief of South Africa’s most antagonistic political party, the Economic Freedom Fighters (EFF), has enjoyed a meteoric rise within the political sphere. While previous elections put the EFF below 10%, the red berets are aiming to bolster their numbers at the ballot box next year. In fact, the Institute of Race Relations (IRR) have, based on quantitative research, suggested that the EFF will have more than double the number of votes in the 2019 Elections than what they had in 2014. Mmusi Maimane, on the other hand, as leader of the official opposition party, the Democratic Alliance (DA), has spent most of his tenure doing damage control. While still callused as the official opposition, the DA has lost its footing in some municipalities thanks to uneasy political coalitions. Thanks to the party’s uncomfortably public spat with Cape Town mayor Patricia de Lille, research reveals that the DA’s presence in the Western Cape may have waned a bit. Still, the IRR survey suggests that the DA will hold roughly the same amount of national votes it received in 2014. Maimane’s popularity ratings, however, have plateaued at a 31% – which isn’t too bad, considering that’s higher than the DA’s national vote ratio. What is worrying for the DA, is that Malema is also bobbing about the same popularity mark, fluctuating between 29% and 31%, hot on Maimane’s heels. Citizen Survey reveals that for the past 12 months, Maimane’s ratings haven’t changed, whereas Malema’s popularity ratings dropped from 31% in the last quarter to 29% currently. According to the report, what is more significant, is that in two years Malema’s popularity rating has almost doubled, while the EFF’s favorability ratings have increased from 22% to 39%. President of the country and of the African National Congress (ANC), Cyril Ramaphosa, has lost a lot of his early popularity amongst the South African electorate. Buzzwords like ‘Ramaphoria’, ‘a new dawn’ and ‘thuma mina’ have been overshadowed by an economic recession, a mounting unemployment rate and South Africa’s greatest ever petrol price increase. All these tribulations leave the average South African embittered, and while some of these socioeconomic embattlements may stem from former president Jacob Zuma’s dubious tenure, Ramaphosa is bearing the brunt of a frustrated public. Citizen Survey reveals that Ramaphosa started his tenure as the most popular politician on the block. In April, May and June of 2018, 68% of people believed Ramaphosa was the key to socioeconomic rejuvenation. However, in July, his ratings dropped to 64%, and then to 61% in August. Currently, the president is popular with 62% of people.